Kuwait - 01 August 2018: Burgan Bank, one of the leading contributors to social inclusion in Kuwait, reiterates its commitment to supporting Autism Partnership Kuwait (APK) for the Rehabilitation and treatment of Children with Autism Spectrum Disorder (ASD) through financial aid as it will reduce the heavy mental and financial burden of the parents and families. Burgan bank also strives through this Support to provide the necessary services and care based on worldwide proven therapeutic methodologies, in order to encourage those Children to achieve the highest degree of development, which enables them to complete the integration with their peers in the community. Driven to deliver meaningful contributions that will produce a lasting impact in the society, Burgan Bank seeks to generate wider awareness of Autism and the importance of early diagnosis and treatment, as well as to highlight the increasing rates of Autism in Kuwait and its relevant challenges. Autism is a spectrum or a series of challenging disorders, accompanied by difficulties related to social skills and communication, and repetitive behaviors, in addition to deficiencies in verbal and nonverbal communication. Autism Partnership (AP), is specialized in providing rehabilitation and treatment services for autism spectrum disorders. AP is run by international consultants and specialists and has become a worldwide authority for autism spectrum disorder with branch offices in many countries around the world. Autism Partnership - Kuwait (APK) is one of the most important centers offering a variety of services for the rehabilitation and treatment of children with autism spectrum disorders and their families, in addition to awareness campaigns, workshops and lectures that are arranged for the public, professionals and individuals involved in the treatment and education of children with autism. 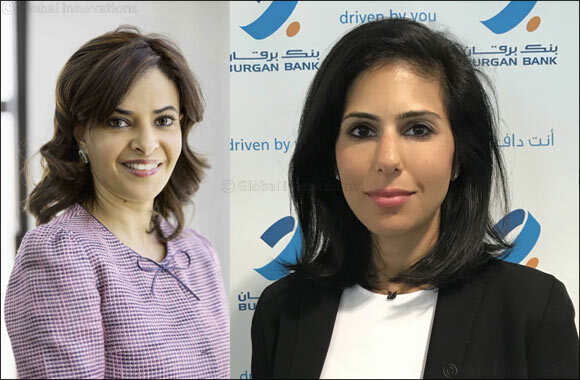 Burgan Bank's support to this initiative falls under its recently launched full-fledged community program entitled ‘ENGAGE’ – Together to be the change. This program sheds light on important aspects affecting every segment of the society by promoting social welfare through educational, cultural, social and health initiatives. Burgan Bank’s approach to 'ENGAGE' begins with a vital principle that as a Kuwaiti financial institution, its conduct and policies should be aligned with the needs and interests of the Kuwaiti society.